If your furry feline is starting to struggle with their weight, then it is probably time to look at their diet. Something as simple as changing to a lower calorie food can help them reach and maintain a healthier weigh and take pressure off their joints to reduce the risk of long term health complications. However, with so many different foods for weight loss available it can be hard to know which to choose. Our panel of pet lovers and cat experts have put together a list of the best cat foods for weight loss to help you make the right choice for your cat. As with all BLUE pet foods, the Cats Adult Dry Cat Food contains high quality ingredients from natural sources. It is designed to meet the specific nutritional needs of adult cats, while restricting their calorie intake to help reduce and balance their weight. 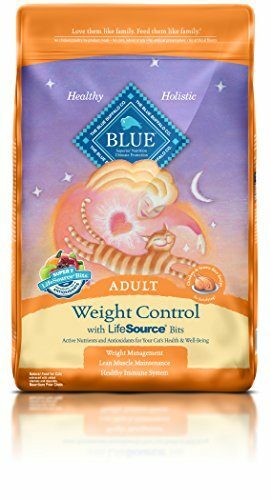 The food includes BLUE Life Source Bits, a specific blend of vitamins, minerals, and antioxidants to support your adult cat. These Bits are cold-formed to help them retain the potency of the ingredients. As well as helping your cat to maintain a healthy weight BLUE for Cats helps with lean muscle development, and supports healthy digestion, hearts and eyes, immune systems, and skin and coats. As with all BLUE products this recipe contains no animal by-products, no corn, wheat, or soy, and has no artificial colors, flavors, or preservatives. 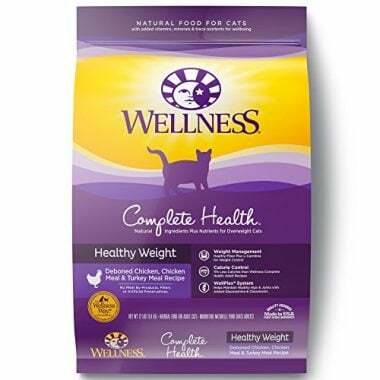 Complete Health Natural Dry Cat Food by Wellness provides a complete and balanced diet for your furry feline. The healthy weight formula is designed to provide fewer calories than other complete foods and an increased fiber content to help your cat feel satisfied after eating. It is created from all-natural ingredients and contains no meat by-products, wheat, soy, or corn. It is also free from artificial colors, flavors, and preservatives. The food includes high quality meat protein, cranberries for urinary health, antioxidants and flaxseed to support your cat’s healthy skin and coat. The new and improved kibble shape makes it easy for your cat to eat and more enjoyable. 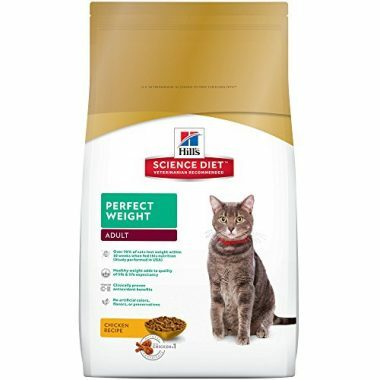 Hill’s Science Diet Cat Food for Healthy Weight and Weight Management supports your cat’s nutritional needs, while helping them reach and maintain a healthy weight. The food can help your cat lose weight within 10 weeks of being introduced to this food, giving them a better quality of life and increasing their energy levels as they are able to move about easier. The main ingredient in Hill’s recipe is chicken and all the ingredients are from natural sources. It creates the perfect blend of amino acids, vitamins, minerals, and antioxidants that your cat needs to stay healthy and increase their vitality. The food does not contain any artificial colors, flavors, or preservatives. The food does contain sources of gluten, so may not be suitable for cats with specific dietary requirements. Specially formulated to protect muscle mass during weight loss, Purina Pro Plan Focus Weight Management Chicken & Rice Cat Food may be just what your cat needs if they are over their ideal weight. The high protein recipe contains 20% less fat that other foods by Purina and has real chicken as its main ingredients. The complete and balanced nutrition also includes prebiotic fiber to support good digestive health. The recipe does include several sources of gluten, including wheat, so if your cat has a specific intolerance, this may not be a suitable choice. If this is not the case, then it is a tastes cats love. 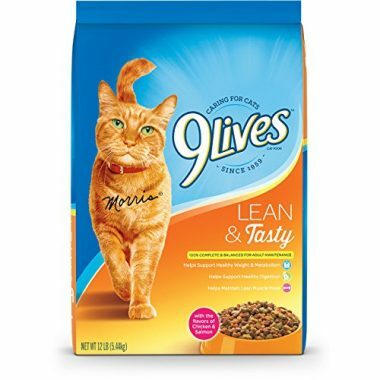 9Lives Dry Cat Food is specifically designed to help your cat stay lean and healthy, while providing a chicken and salmon taste that they will love. The formula supports your cat’s metabolism, helps maintain lean muscle, and offers the complete nutrition that cats need. The recipe does contain sources of gluten, which is something to be aware of for cats with specific digestive issues. First 5 ingredients: Whole ground corn, corn gluten meal, ground wheat, meat & bone meal, soybean meal. 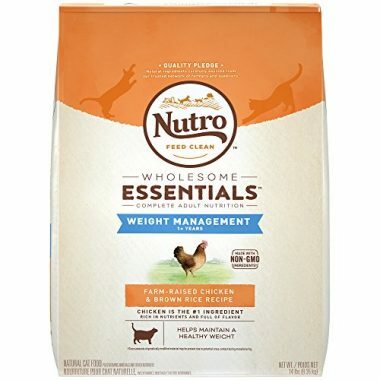 Nutro Specialized Care Adult Dry Cat Food is made from natural ingredients and designed to provide balanced nutrition, while maintaining a healthy weight. The food is created in line with the company’s feed clean philosophy, so it contains no GMO ingredients, and no artificial flavors, colors, or preservatives. It does contain natural fiber for healthy digestion and the essential antioxidants that your cat needs. It supports your cat’s skin and coat health, as well as helping to maintain a strong immune system. The ingredients in Nutro’s recipe come from their trusted network of farmers and supplier. The food never contains chicken by-products, corn, or soy protein. If you want to watch your cat’s weight, but also prefer for them to have a completely grain free diet, then this is the food for you. 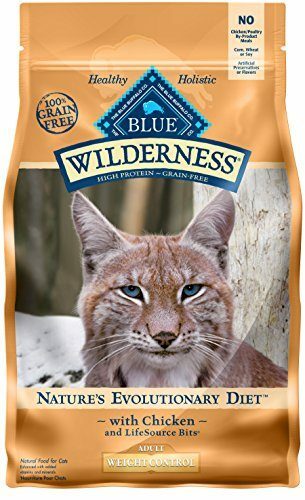 BLUE Wilderness High Protein Grain Free Adult Dry Cat Food is made primarily from deboned chicken and is inspired by the diets of wild cats such as the Lynx. The Life Source Bits that are included in the recipe are rich in antioxidants, vitamins, and minerals. They are processed at a lower temperature to the rest of the food to preserve as much of their goodness as possible. The recipe contains healthy complex carbohydrates in the form of sweet potatoes. As with all BLUE products it contains no animal by-products, no corn, wheat, or soy, and has no artificial colors, flavors, or preservatives. 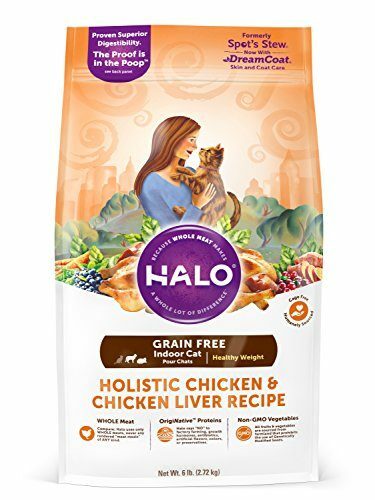 Halo take a natural approach to their cat food, creating foods that contain no meat meal at all. Spot’s Stew Cat Formula Grain-Free Hearty Chicken Recipe is designed to meet the specific needs of indoor cats. It is easily digestible, so it creates less waste for you to deal with. 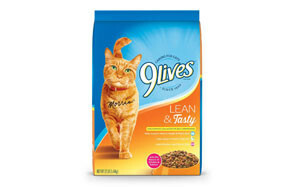 It is made from non-GMO vegetables and contains L-Carnitine to boost your cat’s metabolism. Halo does not support factory farming or the use of growth hormones in its food. The recipe is also free from artificial colors, flavors, and preservatives. 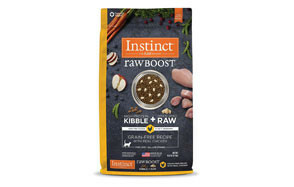 This recipe by Nature’s Variety is a high protein kibble combined with freeze-dried raw ingredients. 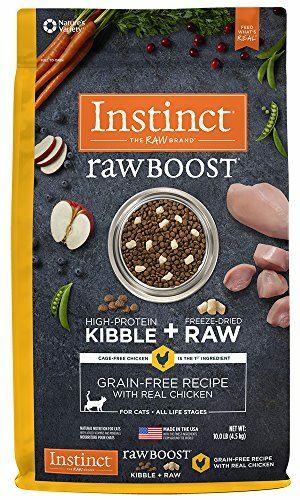 Instinct Raw Boost Grain Free Recipe Natural Dry Cat Food is minimally processed and contains chicken as the first and main ingredient. The food provides probiotics, antioxidants, and omega fatty acids to support digestive health, immune system health, and a healthy coat and skin. The chicken at is used is always cage-free, and the recipe contains no grains, corn, potato, wheat, soy, or meat by-products. It is also free from artificial colors and preservatives. 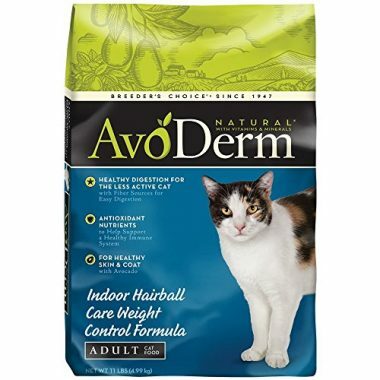 AvoDerm Natural Cat Food is specifically designed for less active cats. It supports healthy weight maintenance and helps reduce hairball formation. The recipe supports healthy skin and coat in your cat with the inclusion of omega rich avocado oil. The main ingredient in the recipe is protein from premium meat sources and the food provides a balance of vitamins, minerals, and antioxidants to keep your cat fit and healthy. It does not contain any meat by-products, corn, wheat, or soy, and is also free from artificial colors, flavors, and preservatives. Helping your cat reach and maintain their ideal weight is crucial if they are to have long, healthy, and happy lives. In this part of the buying guide we look at some of the risk factors for overweight cats, how you can judge whether you cat is overweight, and what else you can do to help your cat reduce their weight. The more over weight your cat is, the greater the risk of them developing one of these conditions. Is Your Cat Overweight or Obese? Experts suggest that the average shorthair domestic cat should weigh between 8 and 10 lbs. However, most owners will probably admit that they have no idea how much their cat weighs and don’t relish the idea of trying to get them on the scales. Luckily, there are other ways to judge whether your furry feline is overweight. If your cat has become more sedentary over time, then their weight may be becoming a problem. Of course, there are a host of other reasons why this may occur, so you should get this checked with your local veterinarian. That may sound strange, but if you can hear your cat landing with a thud when they jump off things such as the bed or a chair, then its an indication that they weigh more than they should. Gently give your cat a squeeze at the sides of their ribcage. If you can easily feel their ribs, they are unlikely to be overweight. If you have to press to feel the ribs, then this is a definite sign that they are overweight. Generally speaking, your cat should become slenderer from their stomach to their hindquarters. If this is not the case, then they may need to cut back on the treats a little. Another telltale sign that you can see through visual inspection is a swinging pouch between you cat’s hind legs. If this is present it is another clear sign that your cat is overweight. The more obvious these signs are, the more likely that your cat has passed overweight and is heading towards obese. Just as with dogs and humans, this can be very detrimental to their overall health and wellbeing. Some breeds are more predisposed to obesity than others. It is important to find out as much as you can about a breed before you buy or adopt. Some diseases or illnesses make it easier for cats to gain weight. The same is true of some medications used to treat illnesses and conditions. How and what you feed your cat is of course the biggest contributing factor to their weight and any weight gain. 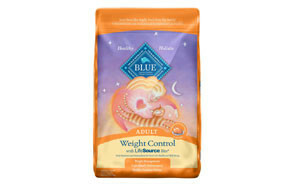 The type, among, and frequency of treats also play a vital role in your cat’s weight management. Check their ideal calorie intake and measure out food accordingly. Dividing their daily allowance over 4 to 6 meals ensures they are getting the energy they need throughout the day. Ensure they have access to plenty of fresh water at all time. Don’t leave food out all day, this just encourage grazing behaviors and means you’ll find it harder to monitor their food intake. You may want to try out an automatic cat feeder. Avoid giving treats, or at least limit them, and ensure that they are suitable treats. Avoid human food as it is very fattening and can cause stomach problems, such as diarrhea. Set aside time to play with your cat and keep them active. By following these tips and providing your cat with a sensible diet that is suitable for their age and breed, your cat will be back at their ideal weight before you know it. What’s more you will find it easier to maintain their weight and they will find a new lease of life and energy.